AND A THANK YOU TO MR. MU ALSO! No problem! Hehe, I think the two of you are the only ones to have participated in every single OFDW ~ you deserve it. It’s also cool to see all of your work together in one place. It’s easy to forget how much work you do over time, and this is a good way to remember! Time to complete: 15 minutes, exactly! Hi Spirit Dreamer! It’s great to see all of your work in the one place, esp. the first few pieces which i missed the first time around. Fantastic work! 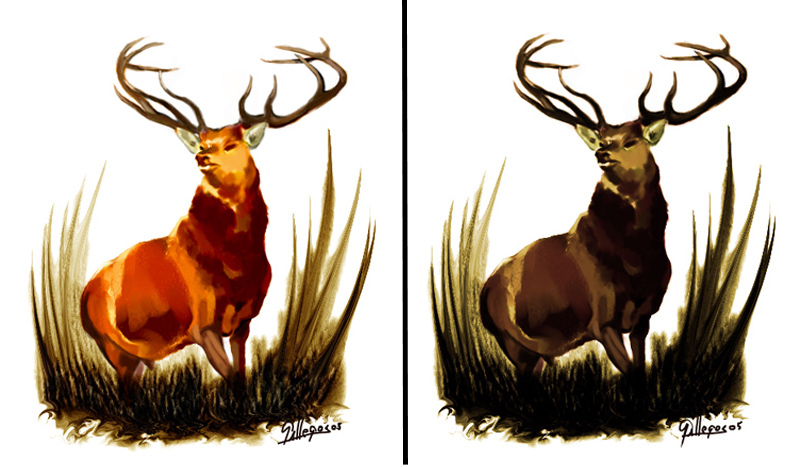 That stag was a lot of fun to paint, a lot different from what I have been doing lately. Terrific Color pallette! Very atmospheric! And excellent figure work!beautiful work Glenn:thumbsup:. Great stuff, Spirit Dreamer! Keep up the good work. You’ve got a good pictural feeling, and a good eye to get the pose and the proportions. 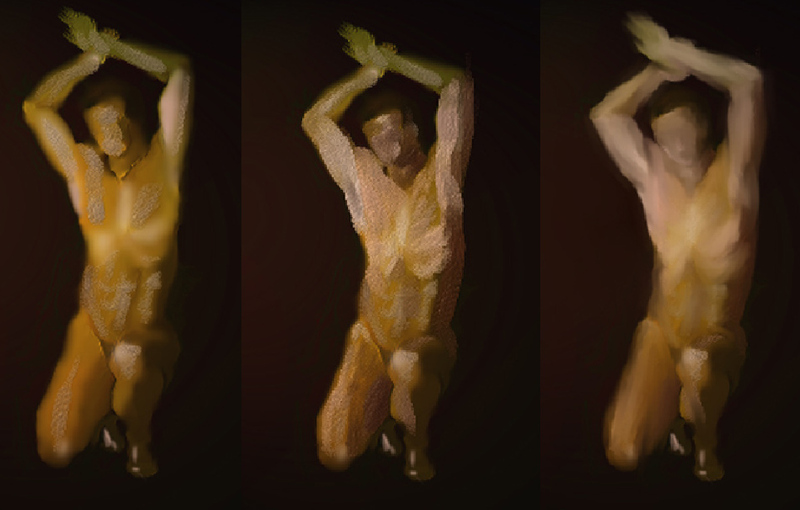 However, If I may give you an advice, don’t spend too much time with PS or Painter effects, and try to push your painting further (more contrast, more defined shapes) using simple brushes & basic tools, just to train your eye and hand. But I think that the real challenge is to represent what you see / imagine with simple tools. If you succeed with basic brushes, it means you REALLY control what you produce. The problem with special effects is that you hardly control the final, it happens like a surprise, and you never stop to discover new effects etc… At the end, in a way, it’s the computer doing most part of the work. 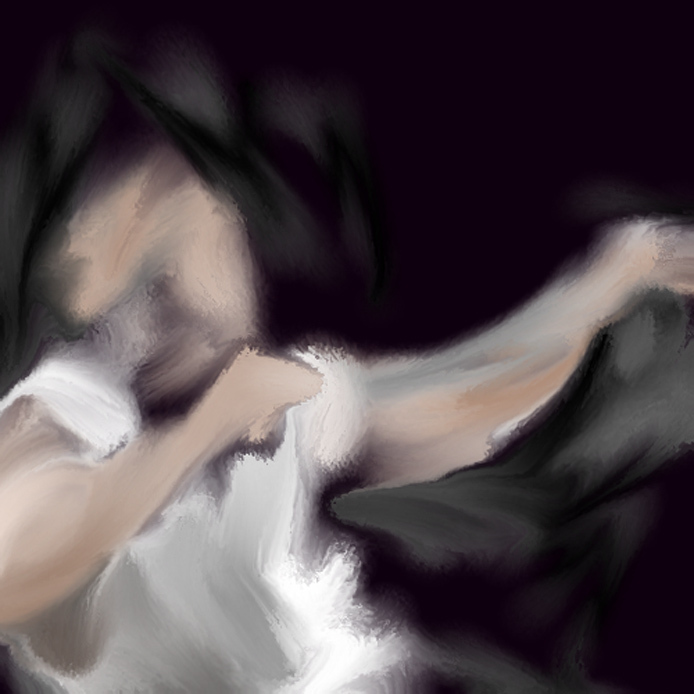 I personnaly just use 4 tools in PS : a basic airbrush, a simple pen, a brush a bit pastel-like, and an eraser. In traditionnal media, there’s no special fx, never, and painters have made such masterpieces ! Go to the essential, once again, so that your artistic abilities wont be limited to a software 's new functions. and sucessfully, just as you have found yours…well not just as, but some how and some way.